Pawn your Panerai Watch! We offer Loans on Panerai Watches! 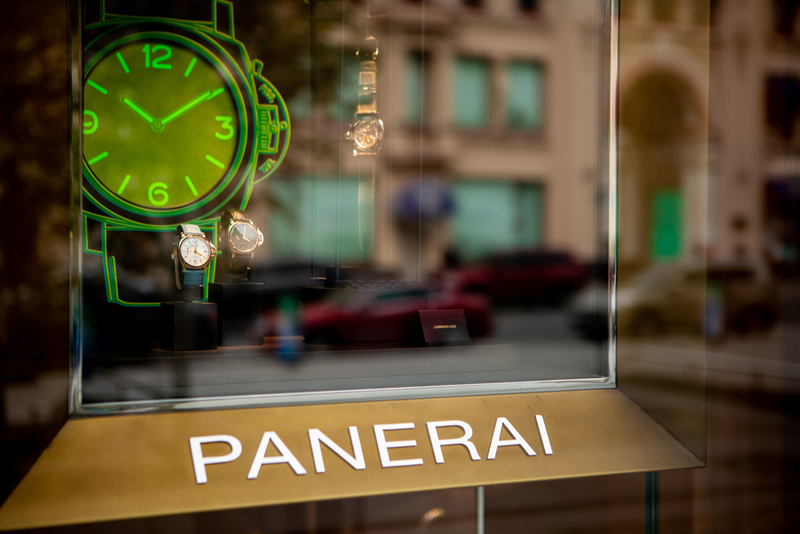 Panerai is an Italian luxury watch manufacturer founded in 1860. The company combines Italian design credentials with Swiss technology to produce timepieces that are as stylish as they are reliable. The most notable Panerai models are Radiomir and Luminor wristwatches. In conjunction with Rolex, the company produced waterproof wristwatches designed for divers in the second world war. If you’re wondering “how can I pawn my Panerai watch in London?”, New Bond Street Pawnbrokers could offer you a solution. We provide loans on Panerai watches at our award winning shop in Central london, and you could even gain access to funds on the same day. How much is my Panerai watch worth? Like cars, some watches have a tendency to depreciate in value once they leave the showroom. However, Panerai watches are held in such high regard that they tend to retain their value at auction. In-demand models like the Panerai Ferrari Granturismo Chronograph usually fetch between £4,500 and £5,000 under the hammer, while vintage models like the Panerai Luminor Marina can go for anything between £7,500 and £10,000. The value of your Panerai luxury watch will depend largely on its aesthetic and mechanical condition. It’s easy to secure loans on Panerai watches if they are in perfect condition – although other factors also come into play. If you’re wondering “what should I take to New Bond Street pawnbrokers to pawn my Panerai watch?”, you should understand that any supporting documentation could increase the value of your timepiece. Certificates of authenticity, proof of purchase and even repair documents should be brought along, if you have them. How old is your Panerai watch? Over time, watches get lost or damaged beyond repair. This naturally means that the scarcity of older models tends to increase – and so does their value. Panerai watches with a bit of history attached to them – such as Luminor models worn by divers in the second world war – could command higher values at auction. Panerai watches exude class and many owners tend to treasure them for a lifetime. Despite this, sometimes you might need to gain fast access to a loan. If you’re in need of funds, it’s relatively easy to temporarily pawn your Panerai timepiece. At New Bond Street Pawnbrokers, you can rest assured that your luxury watch will be treated with care and kept secure. Once your final loan repayment has been made in full, you can take your watch home to enjoy once again.